Melbourne, located within Victoria, (South-East Part of Australia), has been crowned the world most liveable City by the Economist Intelligence Unit for the third consecutive year. And in the last decade, Melbourne population grows by over half a million people which amounted to around 647,200 people as reported by Australian Bureau of Statistics. Most of this increase is attributed by over migration. than 20 million passengers in 2005 alone. Public transport choices at the airport in Melbourne include the Skybus Shuttle Bus service which runs at regular intervals to the city and major hotels, 24 hours a day, along with public buses and taxis. To move Around Melbourne, We can choose between various public transport namely the Trains, Trams, Buses or Taxis. If you're visiting Melbourne, Victoria, you will often see plenty of the iconic Melbourne trams moving through the city and suburbs.Melbourne is the only city in Australia where trams still operate, with the Melbourne tram network making up a large portion of the Melbourne public transport system. Most Melbourne tram routes go to or from the city, but there are also services that journey across the inner southern and inner eastern suburbs. *The City Circle tram is a free tourist tram that operates around the Melbourne CBD. A reliable, convenient and extremely comfortable way to travel around Melbourne, the capital city of Victoria, Australia, is by Melbourne taxi. Melbourne taxis are all bright yellow, making them easy to spot and they are available at all hours. So why invest in Australia?? 2. Strong Investment Performance - The Australian property market has been one of the world's most consistent Property markets over the past 30 years, providing secure returns in excess of 7%pa over this period. It has shown steady increases of around 3% per annum since the 1970s. Since the 1990s however, prices have risen by around 6% per annum. 3. Traditionally low interest rates and it's lowest unemployment rate for decades, the safe investment environment is expected to continue. 4. Continual population growth of 1.6% annually creates a shortage in residential. 60% being migrants which based on the current population of 22.3M translates to approx. 200,000 new residents looking to rent or purchase a property. 5. The laws protecting the interests of landlords are very clear and ensure that you are always safeguarded against issues of squatters, of delinquent tenants to further enhance your investment through the legal system. 6. Low down payment of ONLY 10% now, balance on Completion for most off the plan development. 7. Stamp Duty Savings - Substantial savings in Stamp duty of up to 80-90% if you buy NOW Off Plan as compared to FULL 100% Stamp Duty payment if you buy at Completion. 8. Tax Benefits - There are also some noteworthy tax benefits to be aware of. There are more deductions available the newer the property is, especially when being brand-new so this maximizes your tax deductions especially your Real Cap Gain Tax. 9. Future Migration to Australia - If you are contemplating migration to Australia at some future date, then acquiring property prior to your arrival is indeed beneficial. As you acquire your future residence at “today’s” price rather than the increased value when you actually relocate, but it will provide you with a strong financial platform upon your arrival to build a more secure life in your new country. It may also provide you with distinct tax planning advantages to reduce the impact of Australian taxation when you become an Australian resident. 10. 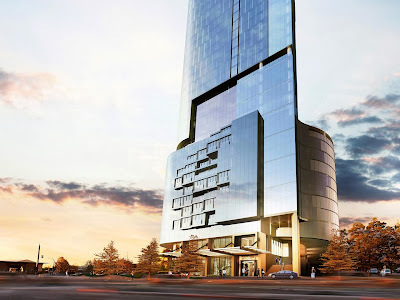 Future Expatriate Return to Australia - As Australian expatriate it is very likely that one day will return to Australia to live and work hence you can sell or rent your property to them. 11. Accommodation during child’s study in Australia – If your Child is likely to study in Australia it is most beneficial for you to buy a property than to rent in the future. Even if the location is not near to your property you have a rental income to offset any renting in the future. 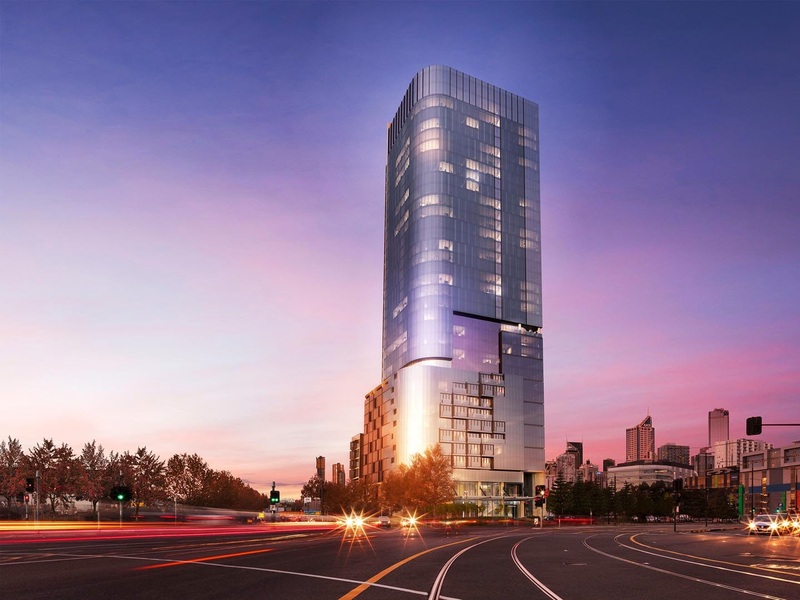 So what’s off plan development is currently in Australia Melbourne? 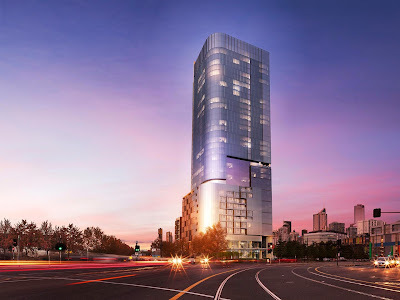 The Altus is a Melbourne new launch located within Docklands precinct and is set to be one of the tallest towers at Docklands, The Altus will rise 115 metres to 37 floors, with levels 2 -15 to be 4.5 stars Hotel managed by Pan Pacific Group under Park Royal brand and with levels 18-36 to be home to 299 apartments. Designed by multi-award winning Moull Murray Architects, The Altus embodies quality, innovative and intelligent design. Its strategic location on an island site delivers 360 degree floor to ceiling views of Melbourne’s city centre, first marinas and the Victoria Harbour. 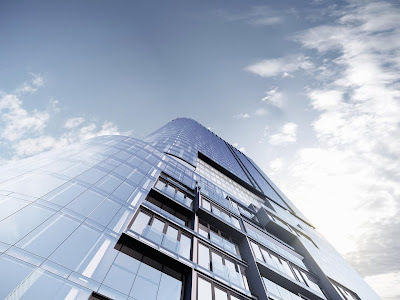 A sheer glass façade wraps around the 36 storeys, offering precision, timelessness and luxury, that all point to the finest internal world class style and design, finished off with a stunning sculptural exterior wall, by world-renowned artists that greets you proudly as you enter. S.T.K– St. Kilda, Melbourne – St Kilda’s tallest building, elevated on the crescent of St Kilda Road, offers 26 levels of cool sophistication with two structures within one sleek façade. The Tower is a soaring statement of success, reaching to the sky with contemporary 1 and 2 bedroom apartments over 21 levels. Residences revel in a heady cocktail of indulgent views and bespoke interior design. A 5 level Podium adds a grand presence beneath. **Disclaimer: Information is provided by UrPropertySg and it does not guarantee the accuracy, timeliness or reliability of the information and pictures within the site. UrpropertySg shall not be responsible for any liability arising from reliance of any information or use of this site for dealings with any third party. 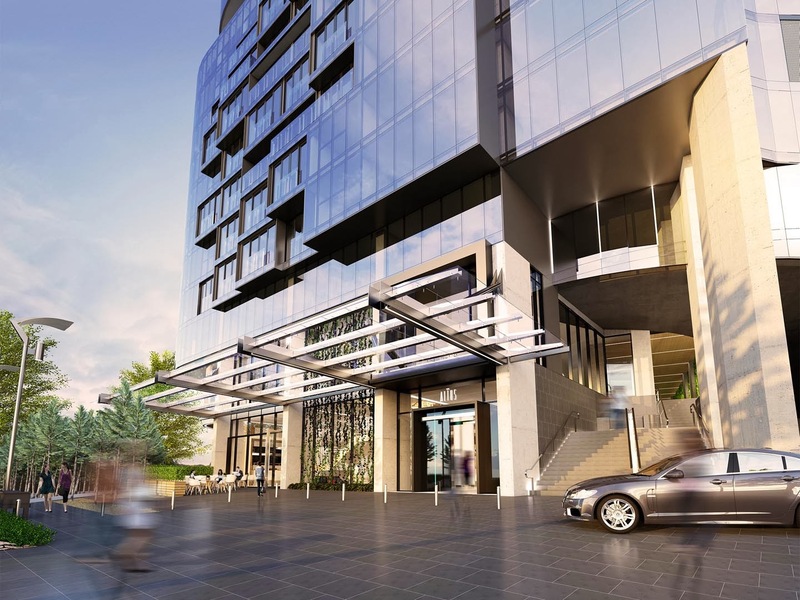 Australia Property Talk is here once again and will be held in Huttons International Office. With the current cooling measures in place in Singapore, are you keen to invest in properties in Oversea? If so, where ? Look Over to the City that is voted to be the best city to live in.This talk enables Singaporeans to gain better insight on the latest market trends in Australia, preview the latest project and developments from top developers and engage in close-up communication with the speaker. -Learn About Fee involved in buying Australia Properties. Medini is a greenfield advancement stretching over 2,230 acres developed to end up being the Central Business District of Iskandar Malaysia. Medini, has attracted numerous investor due to the close proximity to Singapore and the Special tax incentive given to foreign companies operating here. Medini is the heart of Nusajaya surrounded by developed signature advancements such as EduCity, a worldwide best-in-class education and learning hub; Pinewood Iskandar Malaysia Studios, with over 100,000 sq ft of film stages; Kota Iskandar, the brand-new Johor State Administrative Capital; Puteri Harbour, a premium beachfront development throughout the strait from Singapore; Horizon Hills, home to one of the very best golf clubs in the nation - and most significantly, Medini is the the home of the newly opened up LEGOLAND Malaysia amusement park, the very first LEGOLAND in Asia. Medini is master planned group with four distinct advancement collections:. - Medini North: Zone A. - Medini Business: Zone B. 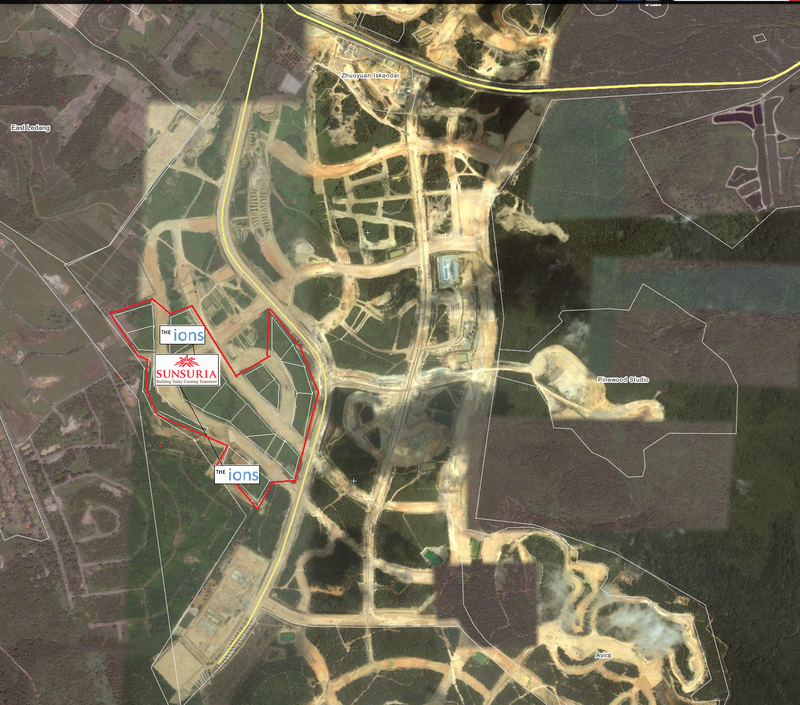 - Medini Central: Zones C, D and E.
- Medini South: Zone F.
Each Zone served different purposes:. This global integrated mixed-use township advancement started in 2007 with a preliminary capital expense of RM4.1 billion (US$ 1.4 billion). To date, RM1.84 billion has actually been invested to finish the infrastructural works. 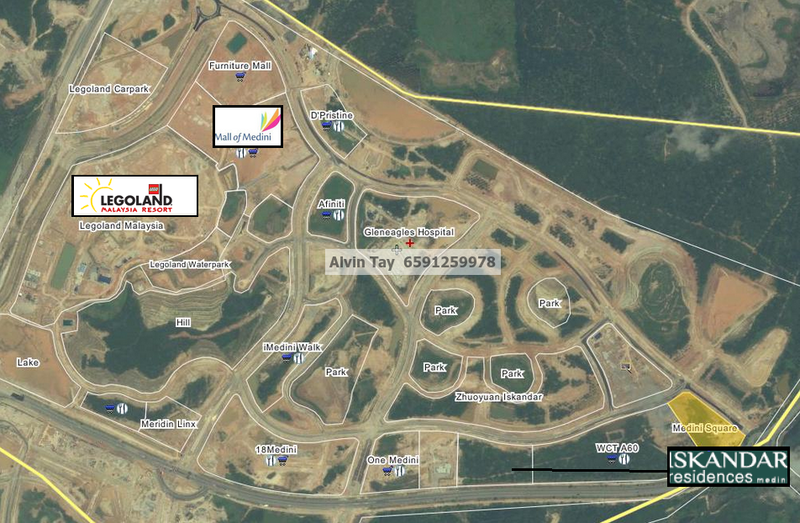 The 2,230 acre website translates to 96 million square feet of land and consists of an overall Gross Floor area (GFA) of virtually 188 million square feet with an expected Gross Development Value (GDV) of more than RM68 billion (US$ 22 billion) over the 20 year advancement strategy of Medini.